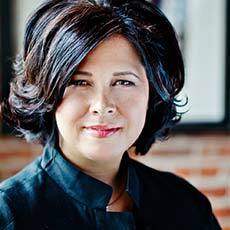 Sheryl Connelly is Global Consumer Trends and Future Manager for Ford Motor Company, a role she has held since 2004. Serving as Ford’s corporate futurist, Connelly is responsible for identifying global consumer trends that feed into functions across the entire company, including design, product development and corporate strategy. More specifically, she has been tracking trends relating to ethical consumption, institutional integrity, shifting accountability and trust for almost a decade. Prior to joining the trends team, Connelly spent eight years of her 17-year career with Ford in a variety of field positions for Ford Division and before working for Ford, she practiced law. In addition to a Juris Doctorate, she holds a bachelor’s degree in finance and a master’s in business administration. She teaches design research at the Center for Creative Studies in Detroit, Michigan. Connelly has addressed audiences at TED Global and guest lectured at Massachusetts Institute for Technology, Wharton School of Business and Kellogg School of Management. Her strategic viewpoints have been published in the Wall Street Journal, Reuters, Financial Times and BBC, and she has been profiled in Forbes, Casual Living magazine and Automotive News. Fast Company magazine named her the 24th Most Creative Person in Business in 2013.